Read an overview of the need for plan designs based on cost-effectiveness, CVS Caremark’s new program, and the potential impact on drug costs. In a blog post in Health Affairs, Robert Dubois, M.D., Ph.D., National Pharmaceutical Council (NPC), raised questions about CVS Caremark's cost-effectiveness plan design, which enables clients to exclude from coverage medications that come to market at a cost-to-effectiveness ratio — also known as quality-adjusted life years or QALY ratio — of greater than $100,000 per year.http://www.healthaffairs.org/do/10.1377/hblog20180913.862850/full/. Quantitative methods like QALY ratios are statistical value assessments or analysis of the incremental cost-effectiveness of a health care intervention compared to its cost. Quantitative methods like QALY ratios are needed because drug launch prices in the United States continue to rise unabated, entirely at the discretion of the manufacturers. Such programs enable a comparison of the cost and effectiveness of a medication — something that today is lacking in the U.S. pharmaceutical market. As a result launch prices for drugs continue to go up, into the hundreds of thousands of dollars each year, pushing QALY into the $300,000-$500,000 range. In Europe, by contrast, most medications are initially priced at a QALY ratio of $50,000. The role of CVS Health, and its pharmacy benefit manager (PBM), CVS Caremark, is that of a steward for the clients who hire us to focus on managing drug costs, ensuring appropriate plan member access and helping improve health outcomes. To do this, we offer solutions that promote generic medications, encourage appropriate utilization of medications and obtain discounts on branded medications. We also continually look for opportunities to develop innovative strategies that help our clients control pharmaceutical spending, even in light of ever-higher drug prices set by manufacturers. The NPC is supported by U.S. biopharmaceutical companies.https://www.npcnow.org/about-npc. Pharmaceutical companies want to retain their ability to set launch prices at a level they choose, and subsequently increase prices as they see fit, without limits imposed by payors. Until now, PBMs such as CVS Caremark have had no ability to impact the initial launch price of a drug. Our new strategy to exclude medications over the QALY threshold from coverage is another tool our clients can choose to use as one of the ways to reduce the total cost of benefits. Dr. Dubois’ article questions the maturity of value assessment frameworks. We believe that cost-effectiveness comparison is exactly the right way to measure the price for a drug. Already, several organizations are working on developing other considerations and when that happens, those can be incorporated into these frameworks. In fact, we are in active dialogue with key organizations to be sure their views are considered. Dr. Dubois also challenges the exclusion of Breakthrough Therapies from our new policy. That is a matter of opinion. There are those that believe Breakthrough status is used too liberally by the U.S. Food and Drug Administration, as well as those who believe our program should include all drugs.https://www.fda.gov/regulatoryinformation/lawsenforcedbyfda/significantamendmentstothefdcact/fdasia/ucm329491.htm.https://www.nejm.org/doi/full/10.1056/NEJMhpr1713338. For now, we are implementing the standard, with which we expect our clients to be the most comfortable — exclude “me-too” drugs that exceed the QALY threshold and do not provide incremental clinical value, but include Breakthrough drugs which treat serious or life-threatening conditions, or offer a new mechanism of action even when they are over the threshold. The point of our program is simple — to get the pharmaceutical industry to price drugs at a reasonable level at the time the treatment is launched. The QALY ratio enables manufacturers to calculate precisely where the price must be set for a drug to be included as a covered benefit — to ensure access, they can simply price it more modestly. Data shows they can do so and still maintain reasonable margins. Some manufacturers may choose instead to continue to price drugs high and risk limiting access. However, over time, as more payors adopt this program or ones similar to it, the logic of the market will dictate more reasonable launch pricing overall. 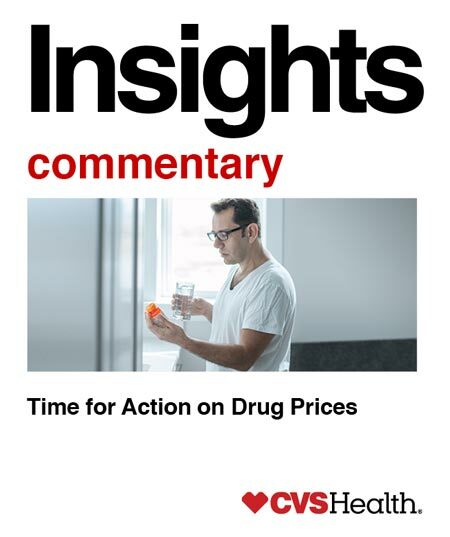 Our intent with this program is not to say whether a particular drug is valuable or not, rather it is to bring rationality to drug pricing using comparative effectiveness research and cost-effectiveness analysis. *www.macrotrends.net. Operating margins defined as operating profit divided by annual revenue in aggregate for 15 pharmaceutical manufacturers. Pharmaceutical manufacturers identified based on annual 2017 revenues.